Bring a carry-on aside from yourluggage bag. 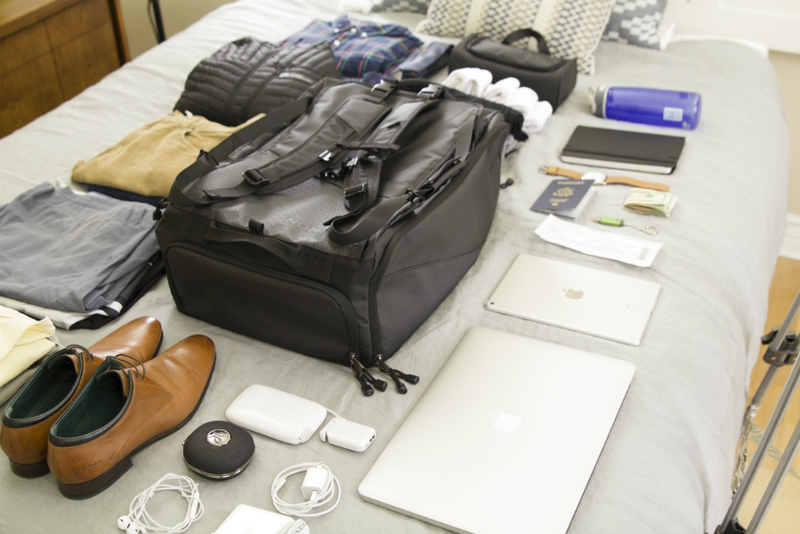 Your carry-on should contain the things that you need to have onyou at all times, from your wallet to your laptop, to even a couple of books(flights can take a while, and they can be quite boring when you have nothingto do). Remember to have all your in-flight essentials (passport, ID, wallet, gadgets) in a carry-on that you can carry with you at all times. Preferably, you want your carry-on to be a backpack to keep your hands free. Keep your toiletries in a separate compartment and in a smaller bag separate from your clothes. This will keep them from getting lost and jumbled along with the rest of your luggage and save you a lot of time when you do decide to unpack. Try to avoid being over-packed for overnight trips. However, being ready in times of emergency, can definitely save you. For instance, if you spill something on your shirt and need to change, it’s better to be safe than sorry. Secure your luggage with a lock ora cable tie. This minimizes any chances of your bag being broken into andanything getting stolen. Don’t assume your carry-on won’t be inspected at the gate – airport security is different from country to country. Even if your luggage is completely within the limits of what your airline said, make sure that everything you need to have with you at all times is already with you. Don’t use old bags when packing for travel. Unless they are specifically durable (i.e. suitcases), there’s always a god chance that your backpack straps might snap in the middle of a busy line at the airport. 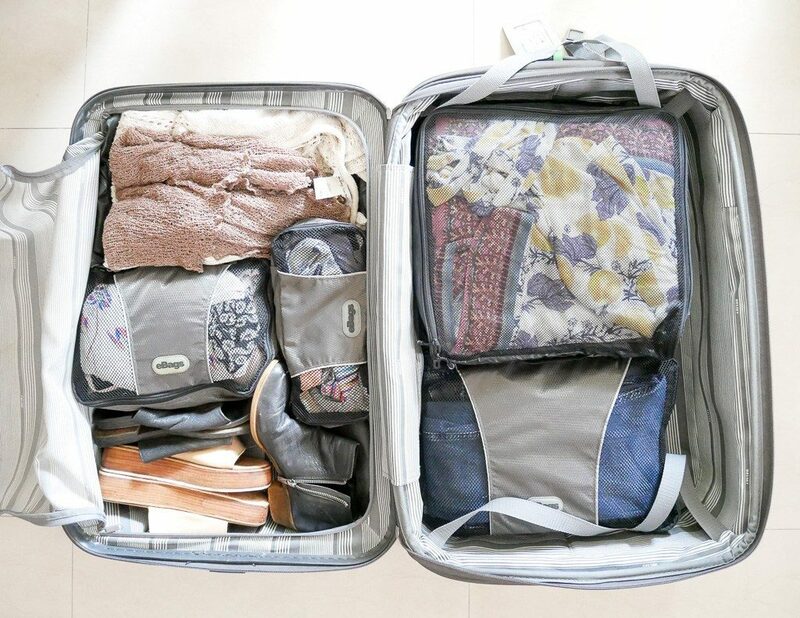 Don’t just jam everything into your suitcase – once you take the time to fold your clothes and arrange them in order, you’ll discover that there’s more space in your bag than you once thought were possible. Don’t pack everything and thekitchen sink. 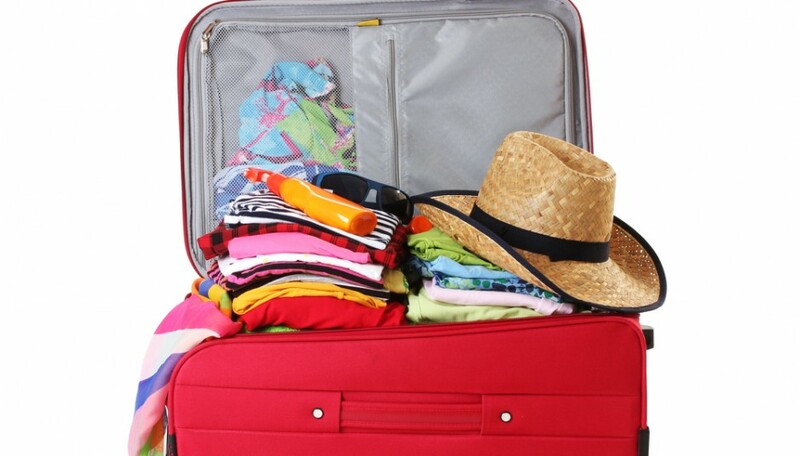 While adding an extra shirt or pair of pants or underwear maycome in handy, there’s certainly no need to over-pack. To avoid doing this,plan out what you’re going to be doing when you’re on your trip. Being aware of these do’s and don’ts will allow you to make the right decisions you need when it comes to packing for your trip, and will be sure to save you a lot of time later on. When choosing a backpack, be sure to choose one that’sespecially suited for your purpose. Checking on the backpack’s quality andcharacteristics (i.e. size, features, and safety) will help you do thiseasily. Duffel bags have earned their status as “all-purpose” for a reason – they’re easy to carry with one or both handles, and two people can share the weight when they’re carrying it. The size and make of duffel bags is what makes them ideal for containing almost anything when you’re travelling long distance. Nowadays, most duffel bags even have separate compartments and pockets for cell phones. If you don’t like having to carry duffel bags by hand,some types and brands also have a sling option that you can use. 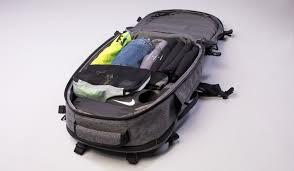 Suitcases tend to be reserved strictly for lightweight luggage trips or trips that strictly call for them, such as business trips or high-profile social gatherings. With suitcases, your clothes become much easier to fold and organize, and they’re a great way to keep your shirts and pants wrinkle-free. 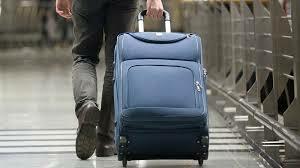 Another advantage that suitcases have over the other two type of travel bags is the ease of which you can move them, as having a bag with rolling wheels definitely beats carrying the weight on your back or on one hand. However, suitcases also have their disadvantage. The rolling wheels make it difficult to maneuver over muddy or rough terrain, and you would often end up having to carry it by the side handle. At the end of the day, be sure to keep in mind that travel is all about blending in with the crowd, instead of standing out. This is especially true when you’re going abroad or overseas, where looking like a tourist will almost automatically signal people to react or respond to you in different ways. 1. The Ritz-Carlton’s Art Collection. This hotel has an amazing art collection. Among its prized artworks on display is a Frank Stella installation at the entrance and two Dale Chihuly chandeliers. 2. Hawker Centres. Foreigners rave about the food in our hawker centres, so make sure to visit (and appreciate) them every now and then. 3. Haji Lane. Located at the heart of Singapore’s Moslem district, Haji Lane may be small in size but it offers riches for fashionistas. 4. The Night Life. Well, sure, we’re no New York or Tokyo, but make no mistake: we know how to party. 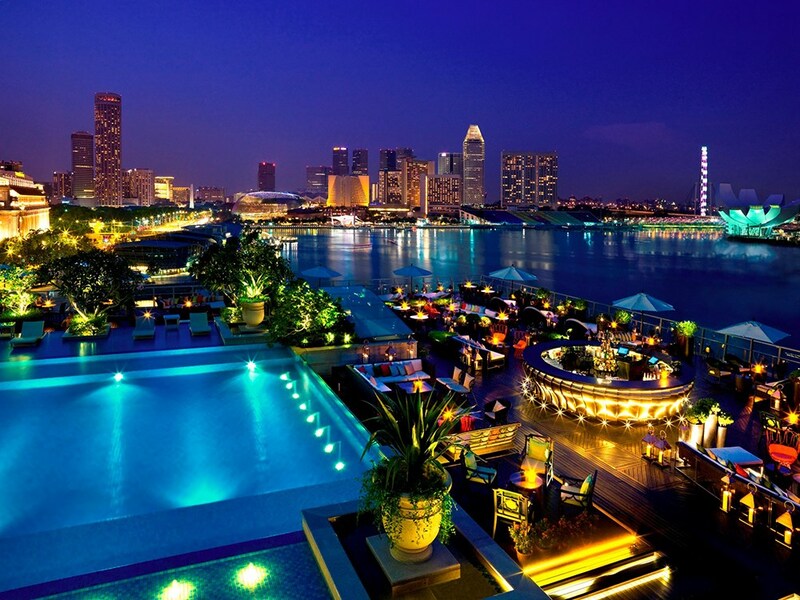 Must-visit venues are the Training Shed and Zouk. 5. Kampong Glam District. This place offers wonderful boutiques, fashionable shops, cosy cafés and cool bars with a Malayan flavor. Check out Masjid Sultan Mosque for something more traditional. 6. Singapore Zoo. One of the best zoos in the region, here you can find and even interact with a myriad of wildlife. 7. Chinatown Heritage Centre. Going here would feel like time traveling as the establishment superbly recreated sets and scenes from Singapore 100 years in the past. 8. The Local Music Scene. The best place to find up-and-coming music artists is probably the Hood Bar and Café, though the Esplanade offers plenty too. 9. Trick Eye Museum. 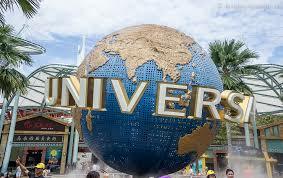 Spend a wonderful afternoon here playing with magical optical illusions and other 2D and 3D marvels. 10. The Singapore Flyer. Towering at 165 meters, this iconic Ferris Wheel will give you a breath-taking panoramic view of Singapore—plus others cool amenities. 11. 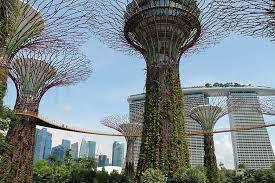 Singapore Botanic Gardens. 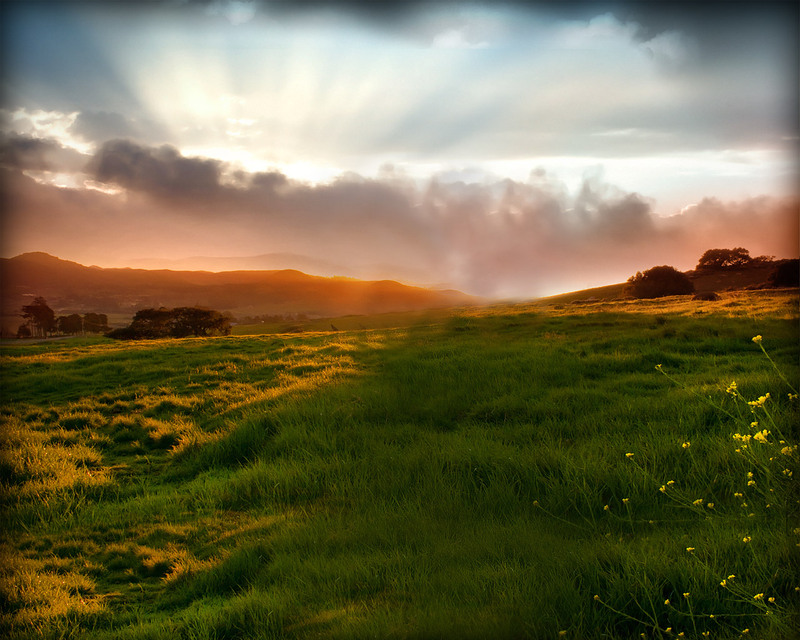 Open from 5AM until midnight, SBG offers a bucolic retreat from the metropolis. Even just a short walk here will give you a sense of serenity. 12. Little India. Little India has famous sweet shops, temples, boutiques, salons, and tattoo and henna parlours. 13. Mid-Autumn Festival. Traditionally celebrated to give thanks to a good harvest, the Mid-Autumn Festival is now akin to an artistic show of beautiful lanterns and other creative displays. 14. National Museum of Singapore. For a dose of cultivation, head to NMS to check out art exhibits, film screenings, historic displays and other enriching cultural shows. 15. Gadgets on the Cheap. Practice your haggling skills at Sim Lim Square and Funan Digitalife Mall to get the best deals on gadgets, appliances and all kinds of electronics. Obviously, this isn’t an exhaustive list—actually, this barely even scratches the surface—which only goes to show that there’s so, so much you can find here in Singapore—even for locals. 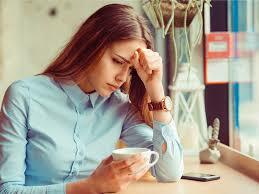 To those afflicted with the condition, a migraine attack can be one of the worst experiences in life. It’s a headache so severe that it leaves one unable to do even basic functions like eating and walking (much less complex tasks like driving or doing work). Avoid the horrible pain of migraine by knowing how to remedy an incoming attack. Migraine can be triggered by different things, so your first line of defense is to avoid your specific triggers. Food: Cheese, coffee, salty food, dried fish, citrus fruits, cured meats, alcohol, chocolates, nuts, and food additives can possibly trigger migraine. Going hungry or having a poor diet can also cause migraine. Changes in the environment: Glaring light from the sun, humid weather, and sudden change in barometric pressure or temperature also causes migraine in some people. 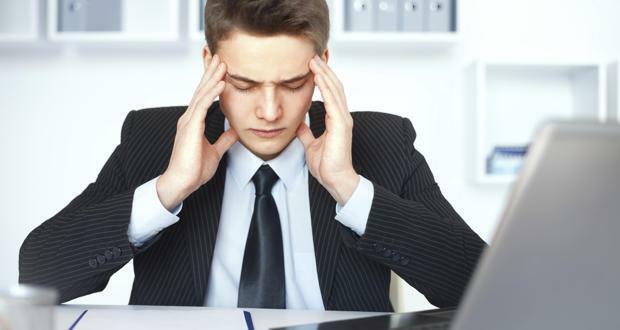 Stress or fatigue: Migraine is highly related to stress, particularly stress from work. Extremely emotional episodes—including depression, anxiety, excitement and shock—may also trigger the condition. Other possible migraine triggers are: very loud noises, strong odors/scents, dehydration, excessive sleep, excessive exercise, prolonged computer use, menstrual period, and eyestrain (bright and flickering lights). Most people can sense an oncoming migraine, especially if they know their triggers and usual symptoms (such as a light headache at the back of the head, neck stiffness, sudden mood change and constipation. A definite sign of an oncoming migraine for some people is experiencing what is called an “aura”. This is an irregularity in the nervous system that causes visual disturbances, such as seeing flashing lights (even if you close your eyes) or getting a wavy, zig-zagging vision. To avoid a full blown migraine attack, immediately avoid or refrain from any suspected triggers and find a way to relax your mind and body. 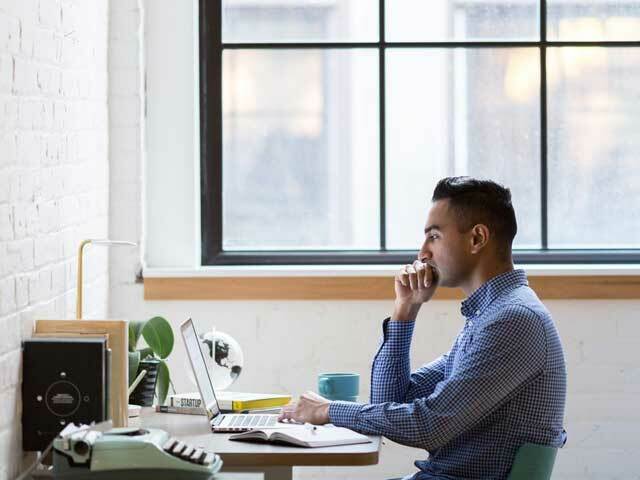 Ideally, you should take a rest in a room with no strong stimuli – the lights are off/ dimmed, little or no sounds come from outside, and nobody would come in to interrupt you. It’s advisable to take some pain reliever if you’re already experiencing severe pain. •	Have a consistent daily schedule. Having a daily schedule means avoiding irregularities—whether these are food or situations—that can trigger migraine. •	Get an occasional massage. Massage has been known to help people relax, and helps the body recuperate. Acupressure also relieves migraine in some people. •	Have sufficient sleep. As much as possible, sleep for 6–8 hours a day at regular times. 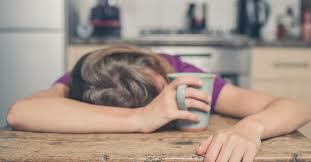 Lack of sleep causes stress that can lead to migraine. •	Improve your well-being. You can also fight stress off through activities that improve your well-being, such as exercising, yoga, meditation, prayer and spending time with your loved ones. •	Take some herbal medicine. Some herbs, including skullcap, feverfew and butter root, have been shown to reduce or eliminate episodes of migraine. 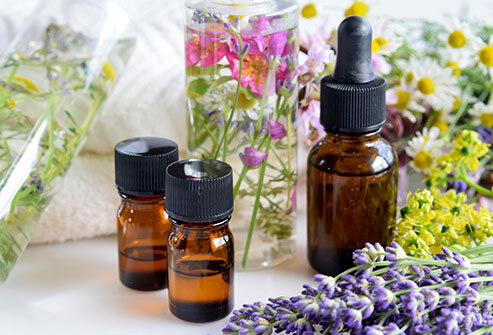 Essential oils have been used for a long time in different cultures for all medicinal and health purposes, and they can be made from a lot of different types of plants. 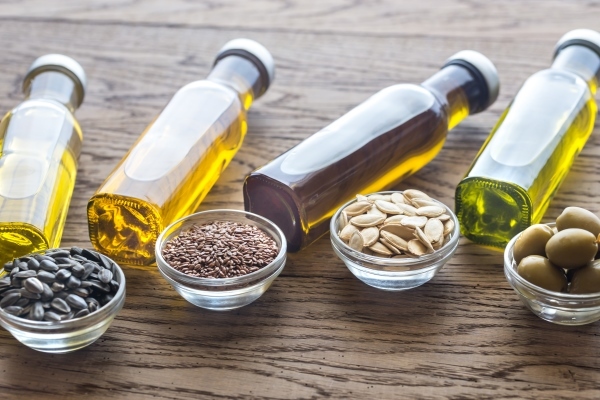 These oil-based aromatics are often derived from different kinds of plant parts. While they have been used for as early as five or six thousand years ago, earlier methods of making are quite different than the ones we have now. 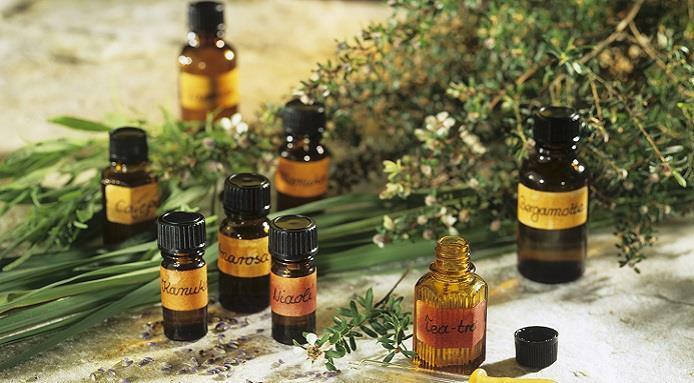 Today, many producers of essential oils focus on the purity of the oil extracts. •	Tea tree – Extracts from this plant can be used for disinfectant and for treating skin blemishes, as well as acne. The result of distilling is a highly concentrated amount of the plant’s oils, which has both the fragrance and the properties of the plant itself, and can be used to treat different conditions in different ways. •	Balance hormones – Certain essential oils can do a lot to balance out hormone levels in the body, such as estrogen, testosterone, thyroid, and especially the stress hormone cortisol. •	Boost your immune system – Whether it’s anti-inflammatory, antibacterial, or antifungal, essential oils can help boost your immune system due to the chemical substances in them that can help your body fight off foreign pathogens. •	Improve your digestion – Aside from helping with stomach spasms, indigestion, and diarrhea, essential oils can even help your digestion to make it easier to break down and absorb nutrients that your body needs. Essential oils can also have stimulating effects and leave you feeling refreshed and energized, which is great if you find yourself tired out and need to get your energy back. They can also improve your cognitive performance, and even lift your mood. What’s even better is that there are all kinds of essential oils made from different plants and can help you with all kinds of health benefits. Also known as melaleuca oil, tea tree oil has strong antimicrobial properties and has a long history of being used as an antiseptic in Australia. When inhaled, tea tree oil does a lot to relieve cough and prevents yeast and fungal infections from growing, and can be applied topically to heal cuts and wounds. Lavender oil is one of the most popular essential oils, and has been known to improve sleep quality and concentration. It also encourages hair to grow for those who are suffering from a type of hair loss called alopecia areata. Additionally, lavender can be used to fight anxiety and generalized anxiety disorder without having any harmful side effects that could lead it to being abused. Alleviating digestive problems can call for the use of peppermint oil, which not only alleviates nauseas, headaches, and stomach gases, but also calms the stomach’s smooth muscles and allows the bile to move more freely in the digestive system. Peppermint oil can also be used to treat symptoms of the HSV-1 virus by acting as a virucide, though more research may be needed for this. Derived from the seeds of a woody plant native to certain areas in the United States, jojoba seeds can be distilled to make jojoba oil. 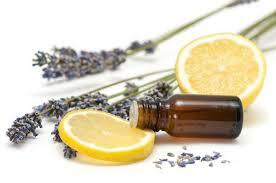 This essential aromatic oil is often used to help heal wounds faster and reduce symptoms of acne outbreaks. Using essential oils after a long day is easy, and there are a lot of ways that you can enjoy it to get the best effects for you. 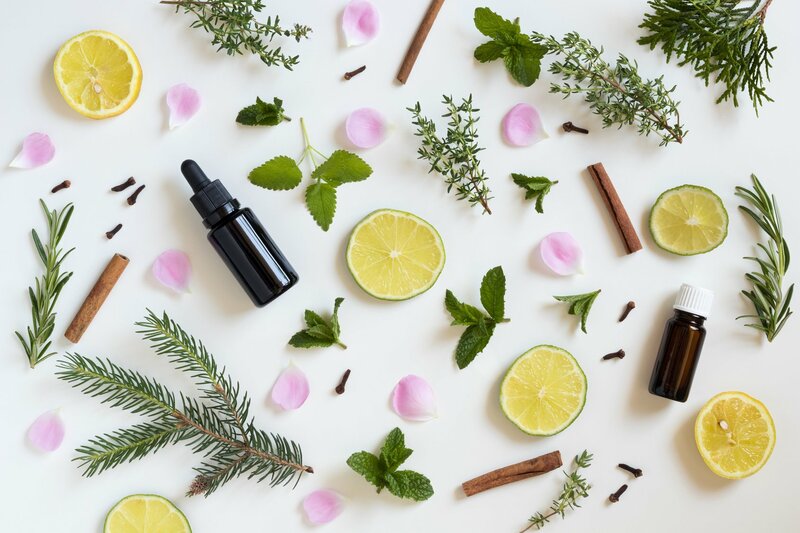 However, you should keep in mind that more doesn’t always mean better with essential oils because they are highly concentrated extracts of the plant oil. For instance, one drop of peppermint oil is just as strong as twenty-eight cups of peppermint tea. With the scorching heat of the sun here in Singapore, it’s tempting to go elsewhere to relax and cool off. How about taking a dip into a pool? We’re not talking about the swimming pools we often find in hotels and resorts, but those designed by Mother Nature amidst the glorious natural backdrops. 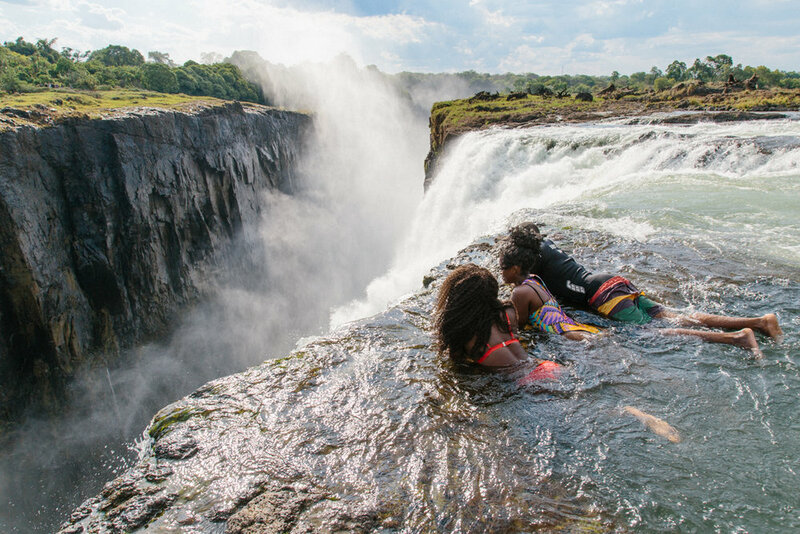 Nestled on the edge of the world’s largest waterfalls the Victoria Falls, the Devil’s Pool is intimidating as it is enticing. However, it’s impossible to go there on your own. You need to go through tour organizers as you will need someone to lead the way. This stunning turquoise sinkhole sits on the Adriatic Coast. The contrast of the clear turquoise waters contained in a rugged surroundings creates an extraordinary feel and look to this mesmerizing destination. There’s also an underground cave here that leads you back to the ocean. Does swimming in a 100-feet deep clear cobalt blue pool sounds like a perfect getaway for you? Then head to Dudu Blue Lagoon, located in the northern coast of Dominican Republic. This natural pool also boasts numerous underwater caves, making it an ideal destination for scuba divers. You can find so many cenotes (natural swimming holes) in Mexico, but there’s none quite like Ik Kil. 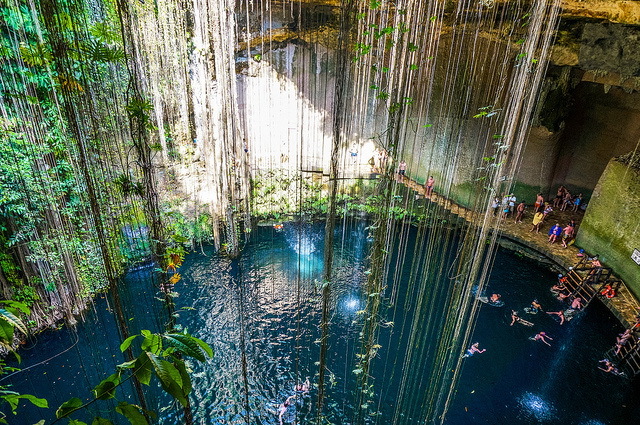 Located near the ruins of Chichen Itza in Yucatan Peninsula, this 85-feet deep cenote hides in the middle of rainforests, lush trees and handing vines. In a place chock-full of natural splendour, Havasu Falls stands out. This blue-green waterfalls is so stunning that it is basically made to be Instagrammed. However, getting there is not as easy as you think. Only those who are willing to hike 10 miles will get to experience this Arizona marvel. 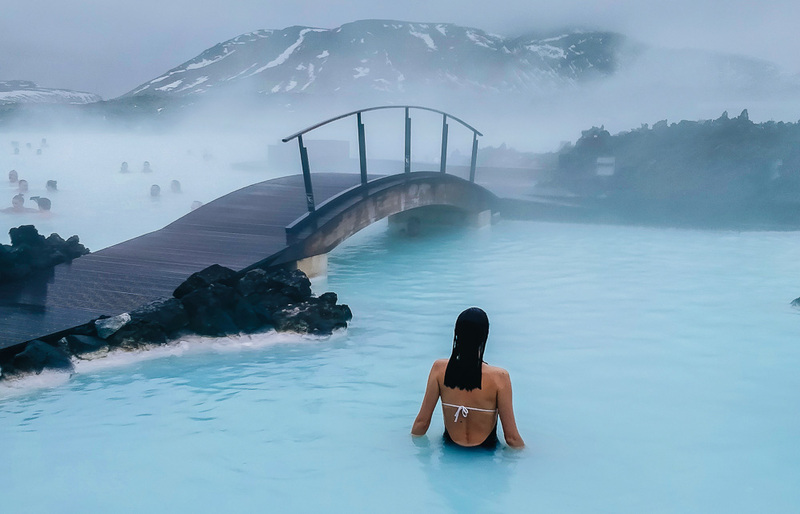 A God-given treasure to Iceland, Blue Lagoon gives you a spa-like experience in a bigger, better and more natural way. This naturally heated pool with mineral salts, blue-green algae and fine silica mud will not only relax you but also nourishes and exfoliates your skin. Apart from this beauty benefit, the place is just enormous and truly spectacular. Let these destinations convince you to dive into the waters. Instead of heading to just another ordinary swimming pool, these natural beauties provide more than just cooling off from the hot and humid weather. 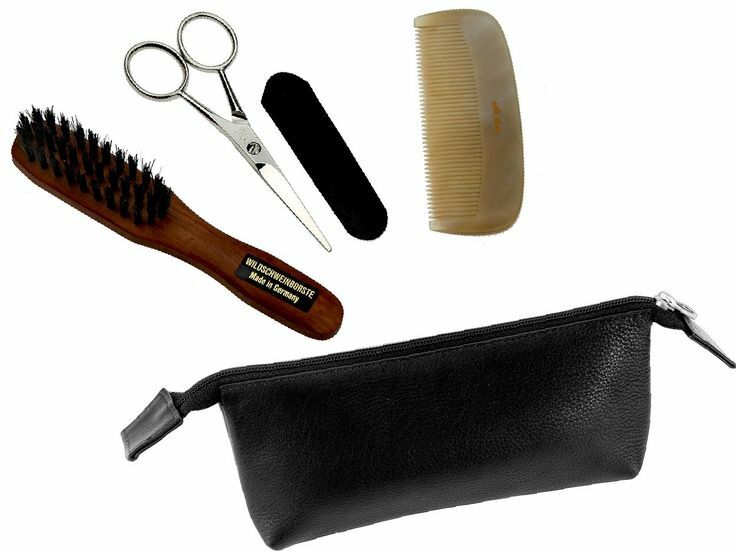 Feel confident all the time with these grooming kit essentials that you should carry in your bag wherever you are. Find a comb that can easily fit in your bag’s pocket for convenience or a brush that will work with curly hair. Stylists recommend a comb with both coarse and fine teeth for precision, or boar hair bristles for the brush that are gentle on the scalp. If you don’t have time to get your manicure and pedicure done, you should bring a compact nail grooming kit with you that includes a nail clipper, tweezers, and nail file. Some people have hair that grow so fast that they have to shave once every two days. If you’re one of those people, you should always take a safety razor or an electric razor in your bag. You never know when you need to meet a client or attend a meeting late in the day. Some shaving kits come with extra razor blades, shaving cream, and shaving brush for convenience. What if you need to freshen up but the restroom is a mile away? Even if you do manage to reach the restroom when you have an upset stomach, there might not be enough paper towels for you to use, that is why you should always be prepared for the worst. Moist towelettes can be used as substitute to clean your hands, while compact tissues can be used to wipe oil, sweat or dirt from your face. 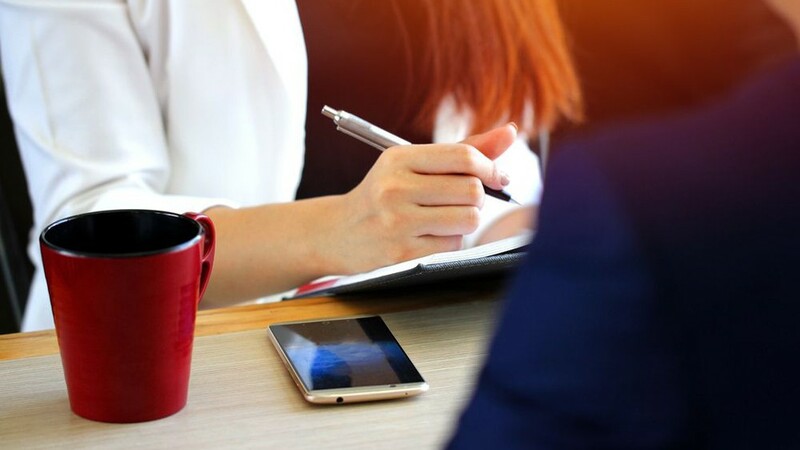 You’ll never know if you will be invited by a client to have dinner or your friends to party after office hours, so you should always bring a compact toothbrush and toothpaste in your bag. Purchase a toothbrush that comes with a removable cap or a plastic receptacle for easy storage. If you can, you should also bring a mouthwash and floss. If you travel a lot, you need to take a pouch containing all the essential toiletries, including a shower gel for easy use. 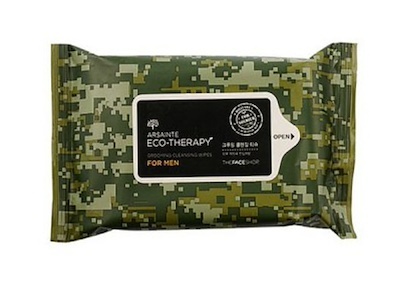 It’s more practical than taking a bar of soap for bathing or washing. The facial wash is also essential especially if you need to spend more hours at work or outdoors, because it will help keep your face clean and oil-free whenever you’re dealing with a client or customer. Who says only women should carry around grooming essentials? If you want to stay fresh, clean, and presentable all day, it’s important to bring grooming items wherever you go. You don’t need a large bag to make all of these fit, because you can purchase compact travel kits with all the essentials you will need for a challenging day at work. Preparing the baby’s first solid food can be an exciting but stressful time for first-time parents. How do you determine if your baby is ready for solid food? Which food can you safely prepare for your baby? And how will you introduce different solid food? Most babies can be given their first solid food between 4 to 6 months. They are supposed to feed on breast milk or formula while still young because they do not have the capacity to chew and swallow solid food yet. 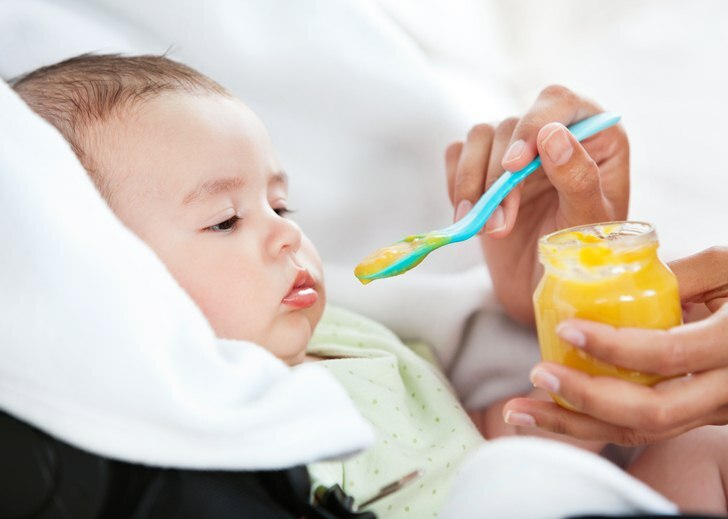 Ask your pediatrician for advice when introducing the baby to solid food, because some doctors argue that babies should not be fed yet until they are about 6 months of age. Your baby will also give you signs that he/she is ready for solid food. He/she might be ready if you see the following signs: baby can keep his/her head steady; baby can sit upright; baby is curious about food; baby has gained weight; and baby can use his/her tongue and mouth properly. If you think your baby is ready to eat his/her first solid food, you should look for food that can be safely digested by baby’s sensitive tummy. 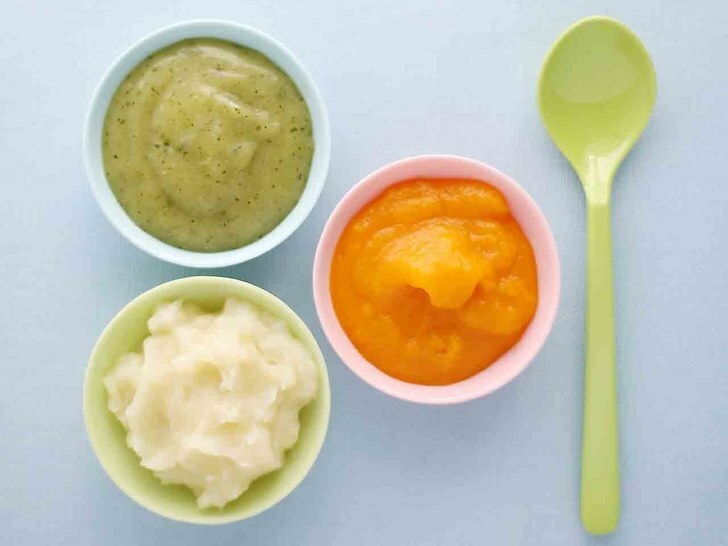 Most babies can easily digest pureed single-ingredient solid food, such as squash, potato, banana, pear, peach, avocado, sweet potato, and brown rice cereal. Some doctors also recommend beef or chicken if the baby is still breastfeeding at 6 months. Do not add salt, sugar, and other ingredients yet. Observe baby’s reaction to food and signs of allergies. Later, you can introduce known allergens, such as wheat, fish, eggs, soy and peanut butter, to determine if baby reacts to any one of them. If a family member, however, is known to be allergic to some food, you should ask the pediatrician about coming up with a feeding plan and blood tests for the baby. Most parents start by preparing the food themselves to make sure that there are no additives to the food, although commercial baby food is generally safe if you read the labels properly. 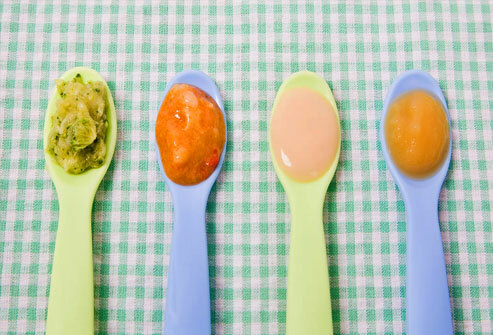 Spoon-feed the infant with the puree, limiting each feeding to 1 to 2 teaspoons. You can also let the baby feed himself/herself by placing the food in front of him/her after nursing or bottle-feeding. Cereals should be diluted and mixed with milk or baby formula when introduced for the first time. If the baby does not seem interested, just let him/her smell it then try again later. One feeding daily should be enough to allow the baby to practice chewing and swallowing. Remember to place the food in a feeding dish separate from the jar or container of baby food to prevent bacteria from accumulating. Leftovers from the feeding dish should not be stored and open food containers should be disposed one or two days after opening.